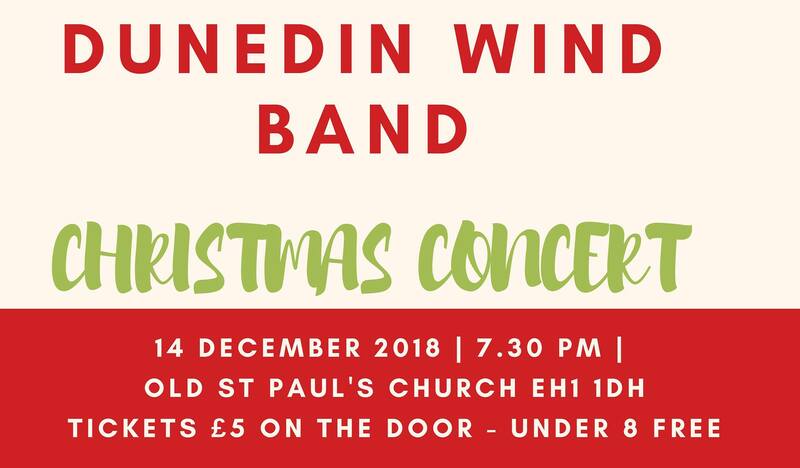 Join Dunedin Wind Band for our Christmas Concert, with Christmas tunes, fantastic music, and an opportunity to sing along. You can even join us for a mulled wine after the concert. We’d love to see you; it’s the perfect way to get in the Christmas spirit!